The Westminster Kennel Club Dog Show split with the pet food brand partly over concerns about the company’s sorrowful adoption ads. Westminster Dog Show Parts Ways With Pedigree, a Longtime Sponsor – NYTimes.com. via Westminster Dog Show Parts Ways With Pedigree, a Longtime Sponsor – NYTimes.com. An experimental drug being tested on dachshunds and other dogs with spinal cord damage may eventually lead to new treatments for people with similar injuries. Read more..
via Helping Injured Dogs Walk Again – NYTimes.com. How dogs in a new study responded to a woman’s greeting depended on whether she looked at them. via Study Finds Infantlike Understanding in Dogs – NYTimes.com. How are dog and child alike? How are they not? Herewith I report anecdotal instances of their behavior over one week, with some cherry-picked research to complete the story. via Is Your Dog Smarter Than a 2-Year-Old? – NYTimes.com. SAN ANTONIO — The call came into the behavior specialists here from a doctor in Afghanistan. His patient had just been through a firefight and now was cowering under a cot, refusing to come out. via More Military Dogs Show Signs of Combat Stress – NYTimes.com. The short, brutish life of the bulldog is putting the future of the breed at risk. via Can the Bulldog Be Saved? – NYTimes.com. 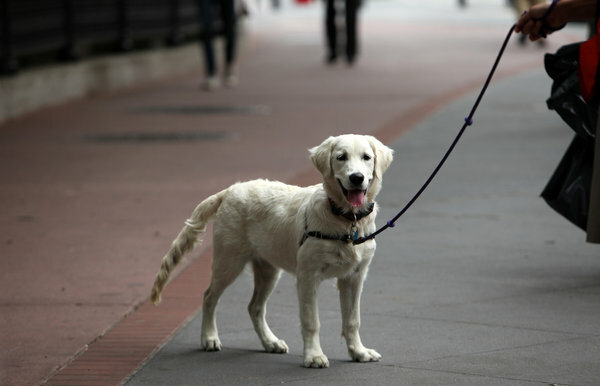 Jill Abramson shows how life with a puppy enriches middle age. The Puppy Diaries — By Jill Abramson — Book Review – NYTimes.com.